The Hazlewood Castle in North Yorkshire was originally built in the 1200’s. 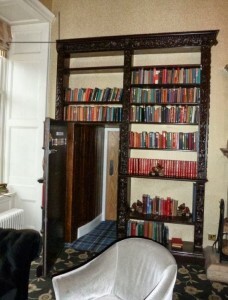 The library now includes this secret door disguised as a bookcase. The door leads to a hidden passage through the castle.